We were tasked by the architect to produce a covered vehicle parking canopy, with integral washing and service bay. 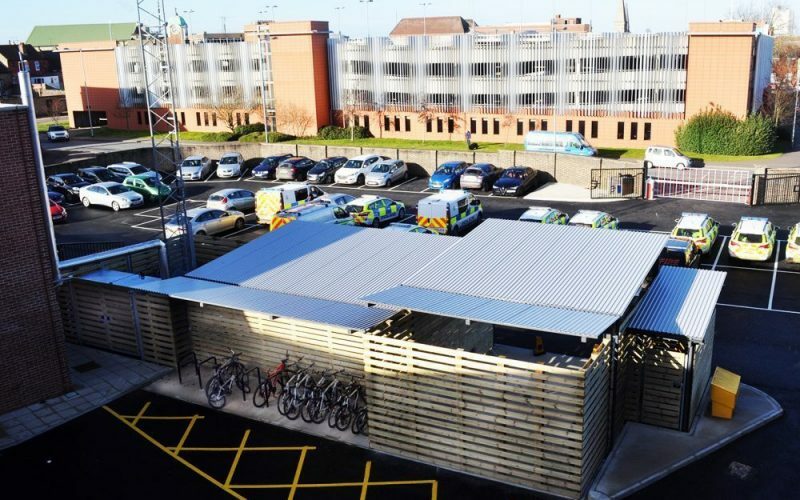 The design also encorporated a secure cycle facility and space for storage. 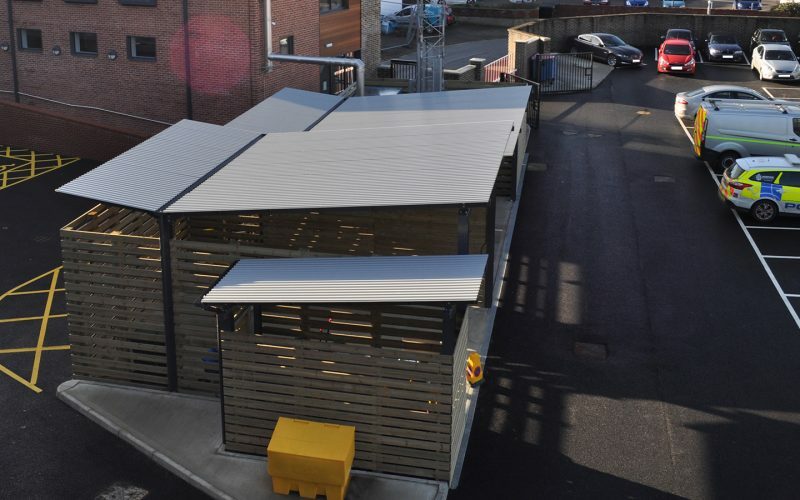 The finished surface combines use of polyester power coating to clients specified colour, hot dip galvanizing and timber board cladding to exterior.